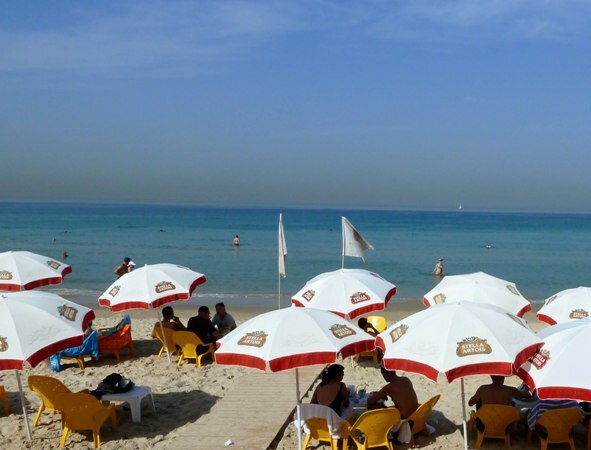 This page focuses on the weather in Tel Aviv all year round, divided by season. Go here for the Weather Right Now In Tel Aviv. One of my many pleasures here since I moved to Tel Aviv from New York is the weather. We have about 300 sunny days a year! So most of the year, you can enjoy the sunshine along the 9 kilometers - 10 miles - of Tel Aviv's beautfiul Mediterranean coastline,which includes sixteen different beaches, two ports and a marina. 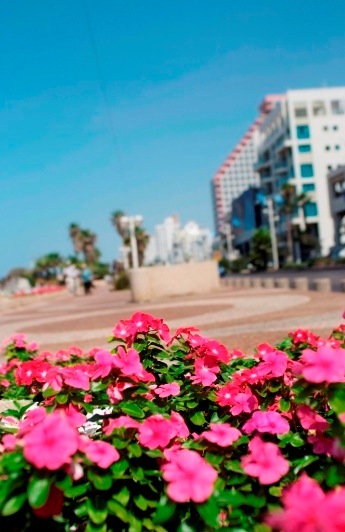 Spring in Tel Aviv is a beautiful time of year and an ideal time to visit. The weather here during the spring is around 60-75° F or 16-24° C.
Rain is rare after April, but it can occur even in May. In general, rain in all of Israel is seasonal and falls only between November and April. One of the benefits of seasonal rain is that it is easier to plan outings and events. Little need for rainy day plans here! From April and onwards, you will probably prefer short sleeves during the day. Nights can still be a drop chilly and you may want a light sweater or jacket in April and possibly May. Tel Aviv summers are really hot and humid with temperature running from 75-96° F or 23-36° C and humidity between 50-90%. August is definitely the toughest month with a peak of 104° F or 42° C and up to 90 % humidity! Other parts of Israel are hotter, but you feel it more in the Tel Aviv area because of the high humidity in this city. Personally, I don’t mind the heat, but some people (like my husband Yoram!) suffer terribly from the humidity. Still, here in Israel there is air conditioning everywhere you go including hotels, restaurants, taxis and homes. 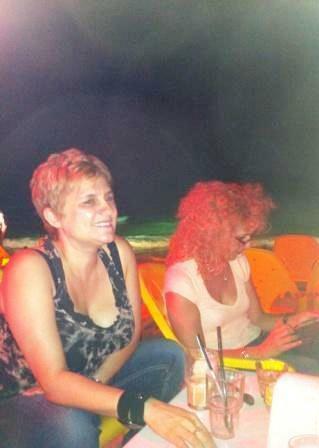 Summer nights are a great time to sit on the beach with friends, enjoying the sea breeze and the cooler night air. For more about Tel Aviv's amazing beaches, visit our Tel Aviv Beach page. Think of September as almost summer time in Tel Aviv. It is still a bit more hot than is comfortable. Tel Aviv fall weather is usually pleasant and like the spring, it is a comfortable time to visit. Temperatures are between 60-75° F or 16-24° C.
Short sleeves are fine during the day through November. On November nights, you will probably need a light sweater or jacket. There can be sone rain in November or December, but the rainier season is during the winter. As you have probably noticed, I love the sea and the beach, spring, summer, autumn and winter! 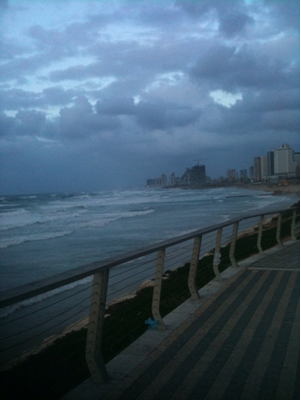 Here’s a picture of a stormy day near the Tel Aviv coastline from Jaffa. Winter is the wettest season in Israel. Tel Aviv averages 20 inches of rain a year (530 mm) and most of that falls in the short winter months. Winter in Tel Aviv is mild and reminds me of early autumn in New York. It’s windy, sometimes wet, and cool. The temperature ranges are about 42-60° F or 6-15° C.
For the weather in Tel Aviv right now, click: Tel Aviv Weather Now.